The Beneteau Yacht and Power brand is famous the world over. Beneteau produce some superb yachts including the Oceanis, First, One-Design, Evasion, Monte Carlo, Antarès, Flyer, Swift Trawler and Ombrine models. Beneteau extend in to 21 different countries across Europe, North America, and Asia and have been providing a fantastic network of after-sales service for all their owners since 1984. 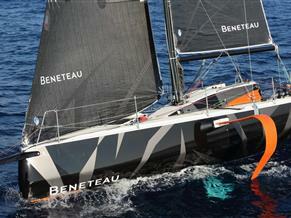 Browse the many Beneteau boats for sale here.